Wednesday, Feb. 20: The talk by Chrisette Michele and the “50 Shades of Brown” event are canceled. 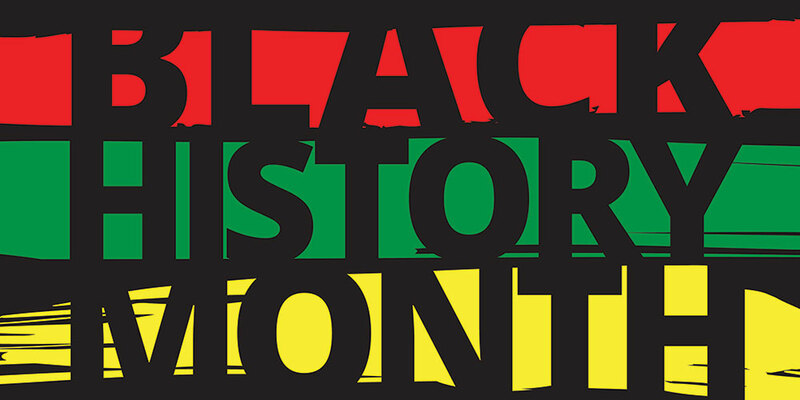 Rutgers University–Camden will host a series of free, public events throughout February in honor of Black History Month. This year’s theme is “400 Years: Mapping the Hidden Traumas, Triumphs, and Trajectories of Black Life.” The first Africans to arrive in what is now the United States were brought as slaves to Point Comfort, Va., 400 years ago, in August 1619. Unless otherwise noted, these events will be held at various locations in the Campus Center, located on Third Street, between Cooper Street and the Benjamin Franklin Bridge on the Rutgers–Camden campus. Inspired by the Black Lives Matter movement, Rutgers–Camden is hosting “Speak Up” as part of the Black Lives Matter at School Week of Action. Students, alumni, and community members will gather in the Multi-Purpose Room, located on the main level of the Campus Center, at 11:20 a.m. to share poetry, music, readings, or personal stories and reflections on racial justice in education. That evening, the Ida B. Wells-Barnett keynote lecture will be presented by Prentiss Dantzler, an assistant professor of sociology at Colorado College. Dantzler, a graduate of the Rutgers–Camden Ph.D. program in public affairs, will deliver the talk “Reflections on 400 Years of African-Descended People in the New World” at 6 p.m. in the Multi-Purpose Room. A panel of Rutgers–Camden experts will discuss the African diaspora at 11:30 a.m. in the South ABC conference room, located on the lower level of the Campus Center. Panelists Marla Blunt-Carter, an assistant professor of professional practice at the School of Social Work, and Eliezer Marcellus, an assistant dean in the Office of Academic Advising, will consider the migration of African people engrafted into the American experience, with moderation by Oscar Holmes IV, an assistant professor of management. Presented by Holmes in collaboration with the Office of Diversity and Inclusion, this talk is part of the monthly Beyond the Mill series of discussions highlighting scholarship on diversity, equity, and inclusive subject matter. A screening of the documentary The Power to Heal: Medicare and the Civil Rights Revolution will begin at 12:45 p.m. in Auditorium 101 of the Nursing and Science Building, located at 530 Federal Street. Hosted by the Rutgers School of Nursing–Camden, this event’s guests will include Barbara Berney, the film’s producer, and David Barton Smith, the film’s historian. That evening, the Robert H. Bailey Memorial Lecture will be presented by Mindy Thompson Fullilove, a clinical psychiatrist and professor of urban policy and health at the New School in New York. A reception will begin at 5:30 p.m. in the Multi-Purpose Room, followed by the talk, titled “Tipping Points: Neighborhood Restoration or Devastation,” at 6 p.m. This annual lecture is presented by the Department of Public Policy and Administration. The “50 Shades of Brown” discussion, held at 11:20 a.m. in the Executive Meeting Room on the Campus Center’s lower level, will focus on internalized or covert discrimination and prejudicial experiences based on skin color within varying communities of color. That evening, Grammy Award-winning musician Chrisette Michele will give a guest talk at 6 p.m. in the Multi-Purpose Room. The singer-songwriter, who faced public controversy after performing during one of President Donald Trump’s inaugural balls in 2017, will talk about her life and work. Guest speaker Darnell Moore, an activist and author of the book No Ashes in the Fire: Coming of Age Black & Free in America, returns to his hometown of Camden for a discussion about his book. This talk is hosted by the Department of Childhood Studies. During the interactive closing program of Black History Month, members of the Rutgers–Camden community will play a Family Feud-style game featuring historical facts about black culture, 5 p.m. in the Multi-Purpose Room. Later that evening, the Rutgers–Camden music program presents Black American Music (BAM) at 7:30 p.m. in the Walter K. Gordon Theater, located in the Fine Arts Building, 314 Linden Street. Students will perform a selection of soul, funk, rock, and pop songs from the past 50 years. For more information, contact Keith Green at keigreen@camden.rutgers.edu.